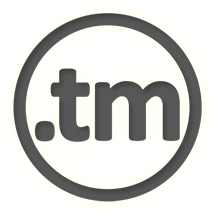 .TM is the official country code Top-Level-Domain (ccTLD) of Turkmenistan. Domains can be marketed as TradeMark domain or simply because you are either from Turkmenistan or you have business associated with Turkmenistan. The admin or billing contact of the respective domain may be changed to the NIC handle of 1api: NIC-1133. Afterwards, a normal transfer without Authorization code, may be initiated using the API or the web interface. The other possibility is to inititate a transfer, using the API or the web interface, and use the password of the admin or billing contact of the domain as Authorization code. The password may be obtained by contacting the registry. In both cases, the transfer should be completed within a few minutes. In addition to the "transfer in" possibilities, you also have the possibility to "push" a domain to another registrar, by using the PushDomain command, using the NIC handle (e.g. NIC-1234) of the future registrar as parameter "target". The registry requires a minimum initial registration period of 10 years, payable as one lump sum at the time of registration. However, after this initial 10 year registration, 1,2,5,or 10 year renewals are permissible. This means that the registration cost is shown as 10 times more than the renewal price and the cost shown in the price list.